Brad concentrates in the areas of workers' compensation and civil litigation. With extensive experience defending hundreds of employers before the Illinois Workers' Compensation Commission, Brad has arbitrated many workers' compensation claims as well as argued numerous reviews before the Workers' Compensation Commission during his career. He has also argued appeals of Workers' Compensation Commission decisions before the circuit court. Brad has spoken on and authored articles regarding employment layoffs and temporary total disability benefits. Brad has also spoken on updates to Workers' Compensation case law. He has authored articles regarding the Workers' Compensation Fraud Statute. Brad also co-authored, "Loaning Employer Not Liable . . ., Personal Comfort Doctrine," for the Illinois Defense Counsel Quarterly (2008). 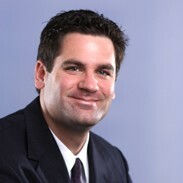 In 2012, Brad was named to the Illinois Super Lawyers Rising Stars list. He is a member of the Winnebago County Bar Association in its workers' compensation section. Brad is also a member of the drone law practice group, which advises clients on issues relating to drone operations. Brad has spent his entire legal career with Heyl Royster in the Rockford office beginning in 2002 and became a partner in 2013. Brad received his J.D. from Northern Illinois University School of Law, where he was an editor of the Law Review, and a B.A. from the University of Illinois. Ordoniz v. Dano Auto Body Petitioner claimed he injured his low back and allegedly suffered a herniated disc while removing a car door from a vehicle. He amassed approximately $225,000 in outstanding medical bills for treatment in the form of chiropractic care, physical therapy, medications, numerous spinal injections, a radiofrequency ablation and numerous radiological tests. The Workers' Compensation Commission relied on our IME and Utilization Review reports in finding petitioner suffered a lumbar strain and in denying approximately $225,000 in alleged outstanding medical bills as unreasonable, unnecessary and causally unrelated to the work injury. The Commission awarded 3% person-as-a whole. Alanis v. Woodstock Christian Life Services Petitioner injured her lower back while pushing a cart and slipping and falling on some water. She received medical treatment for approximately one month, was released from treatment and was released to return to work. She eventually began treating with a pain management physician who performed a series of lumbar spine injections as well as a radiofrequency ablation. When the pain management physician released petitioner after one year of treatment, the petitioner had accumulated an extensive amount of outstanding medical bills which we denied. Relying on our IME physician, the Workers’ Compensation Commission denied approximately $34,000 in alleged outstanding medical bills and awarded 6% person-as-a-whole for a lumbar strain. Hieber v. Glass and Mirror Company Petitioner suffered a compensable and accepted right shoulder injury. Following right shoulder surgery, petitioner developed an infection in the right shoulder which resulted in a revision surgery. Subsequent to the second surgery, the petitioner suffered from kidney failure and eventually required a kidney transplant. On behalf of glass and mirror company client (Company) the firm presented evidence and an expert opinion that the renal failure was not related to the right shoulder surgeries and infection, that petitioner had risk factors for developing renal failure, and that petitioner subsequently developed renal failure in the transplanted kidney. The arbitrator found the petitioner's renal failure to be causally connected to the right shoulder work injury and awarded all benefits related to the renal failure. On review, the Worker's Compensation Commission found no causal connection between the work injury and the petitioner's kidney condition, and the circuit court affirmed on appeal. The Commission's decision resulted in a reduction of the arbitrator's award of more than $300,000. Named to the 2012 and 2013 Illinois Super Lawyers Rising Stars list. The Super Lawyers Rising Stars selection process is based on peer recognition and professional achievement. Only 2.5 percent of Illinois lawyers under the age of 40 or who have been practicing 10 years or less earn this designation.